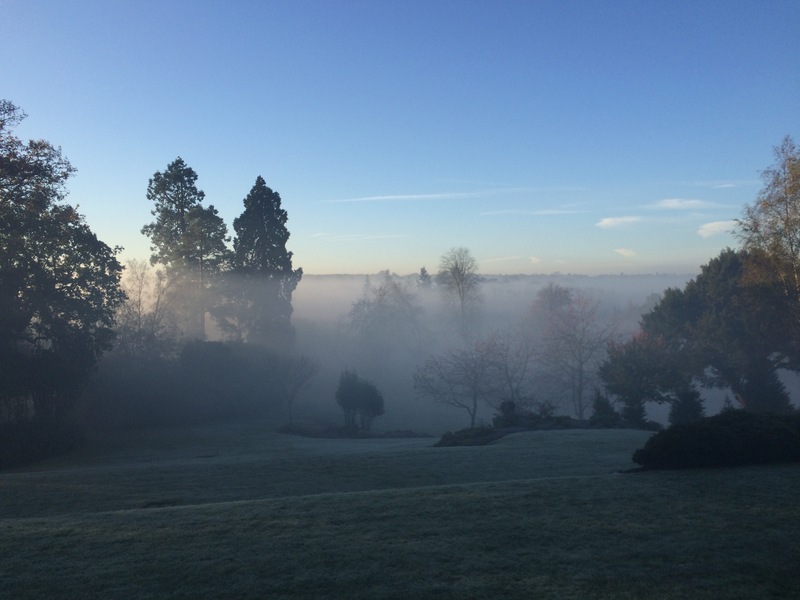 The smell of wood smoke at night, mist on the water meadows at dawn and strange suburban trees heavy with incongruous fruit — that’s what the season of harvests means to me here and now. It’s been a good year with plenty of sun and rain. My small garden is witness to it. 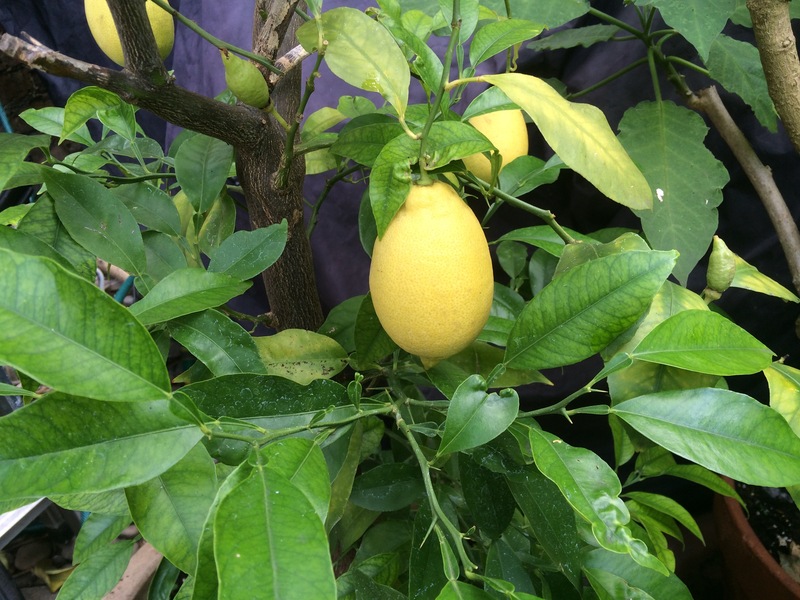 A lemon tree that has struggled through two winters has produced large and succulent fruit. 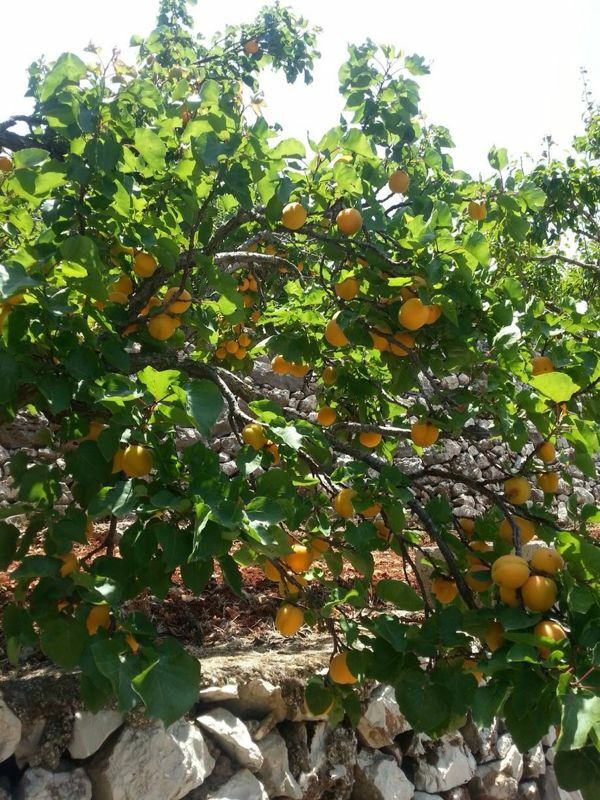 I hesitate to pick the lemons as I don’t know when or even if the tree will be able to bear such fruit again. Of course it’s nothing compared to the groves of lemon and orange trees where I used to play in my family’s village in the Bekaa valley. But it feels so rare and hard won to have grown such fruit from scratch here in England that it pleases me more than I can say. This year our vine tree that had been bare and nearly dead for the past two years was also suddenly laden with bunches of grapes. 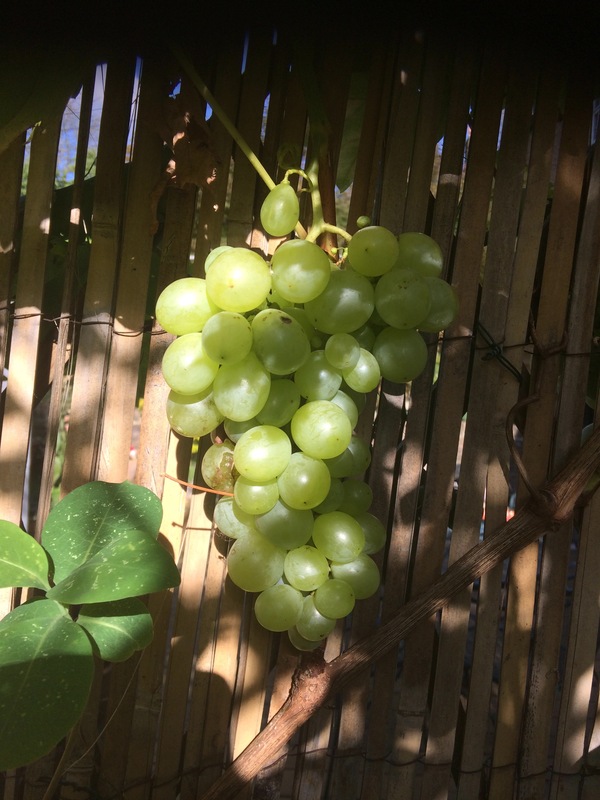 I have more faith in the vine and the chances of grapes next year so I have no problem in picking them and guzzling them on the spot — perhaps with a matching grape-flavoured shisha. The figs have also been abundant, although the squirrels have probably already had the best of the crop. Our cat Bowie and the squirrels seem to have come to some kind of deal — perhaps something like the de-confliction agreement the Russians and Americans are recently said to have reached over Syria. 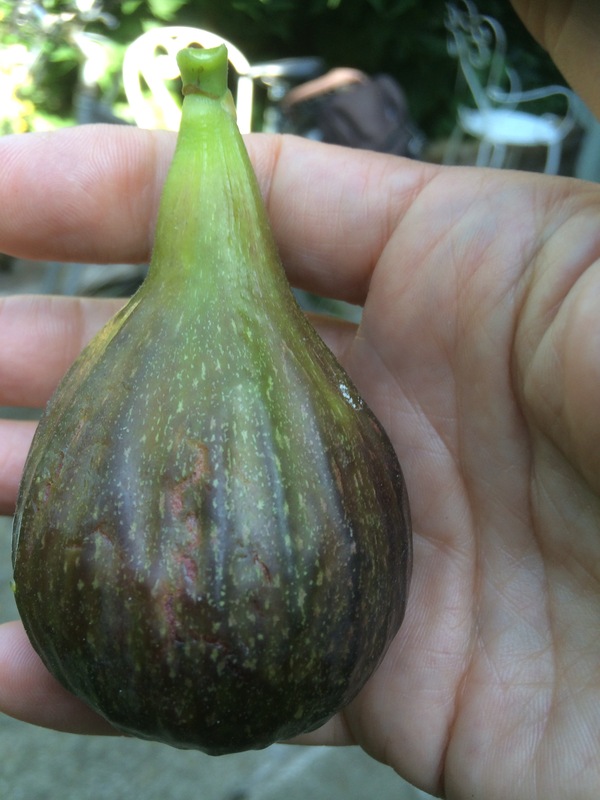 Bowie lets them have the figs as long as he can get on with finding the most vulnerable and helpless small animals to toy with and perhaps also the narcotic angel trumpets that flourish beside the fig tree, perfuming the night even as winter approaches. Harvest was a time for my whole family to get together in the Bekaa — those who lived off the land the whole time joined at weekends by those who had chosen or had had chosen for them a very different life in the city. It was both beautiful and boring for me. 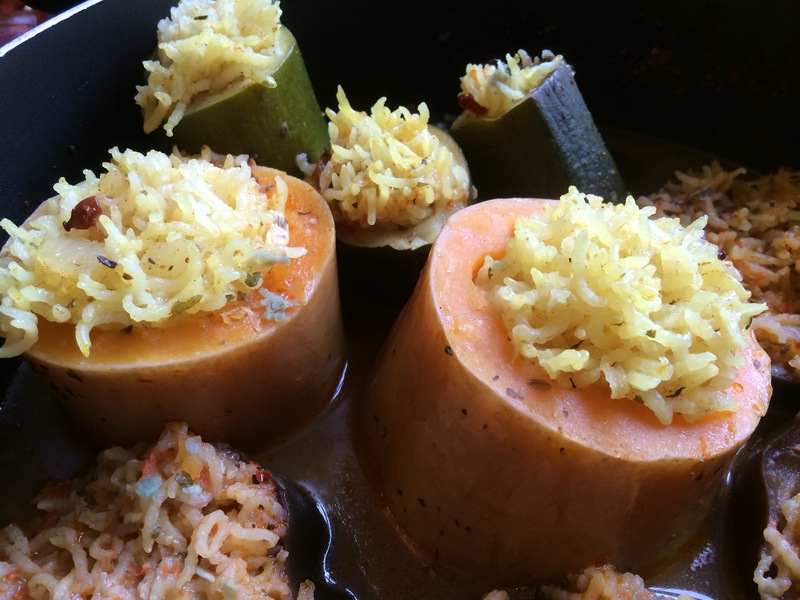 But I loved the richness and abundance of tastes that the season brought — as well as the promise of even better things through the winter as the year’s produce was laid down in storage. Of course it’s very different here. I have no direct contact with the deep countryside and the work that is done there. Instead, I forage around my neighbourhood for the fruit that grows almost surreptitiously and by accident, ignored by everyone else. 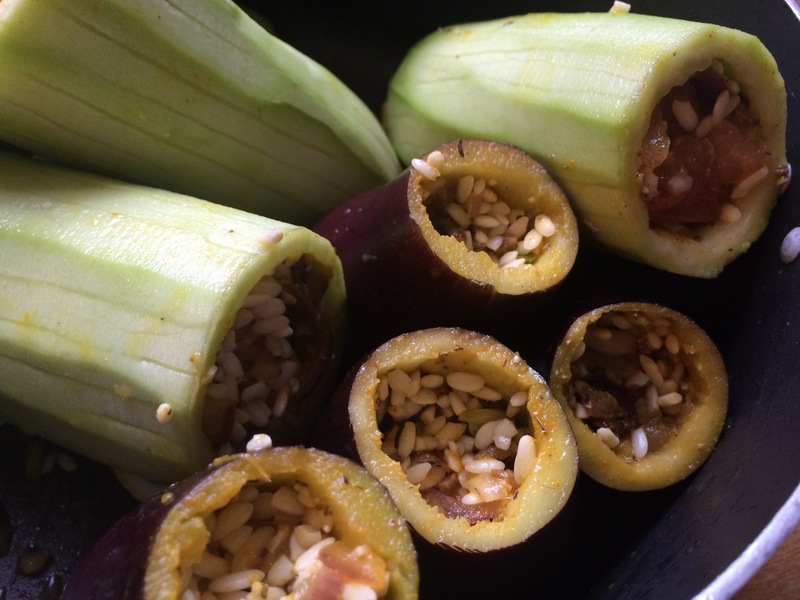 To celebrate this time of year, I have been making stuffed marrows and aubergines, filling them with rice, meat, fruit and spices. 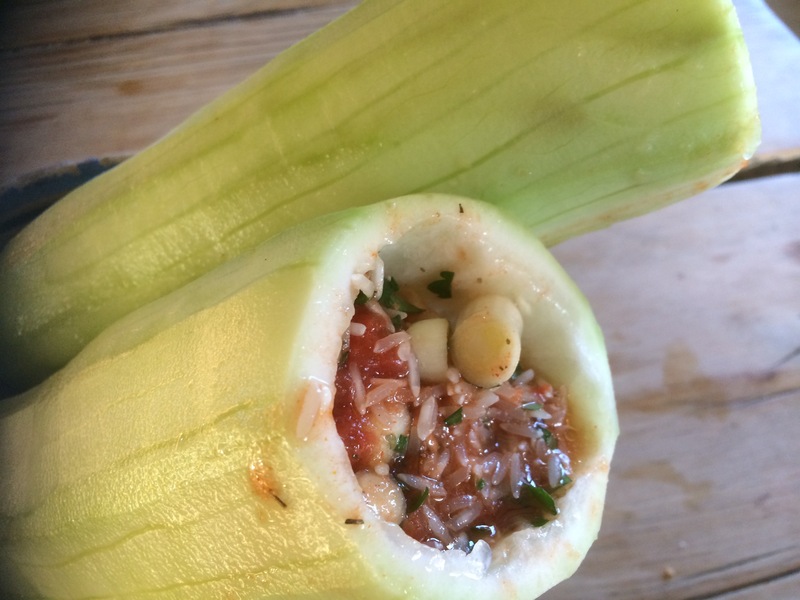 It is a hearty, healthy dish, bursting with life — for one last moment just as the fields here and in Lebanon are shorn of all their riches and go into hibernation. 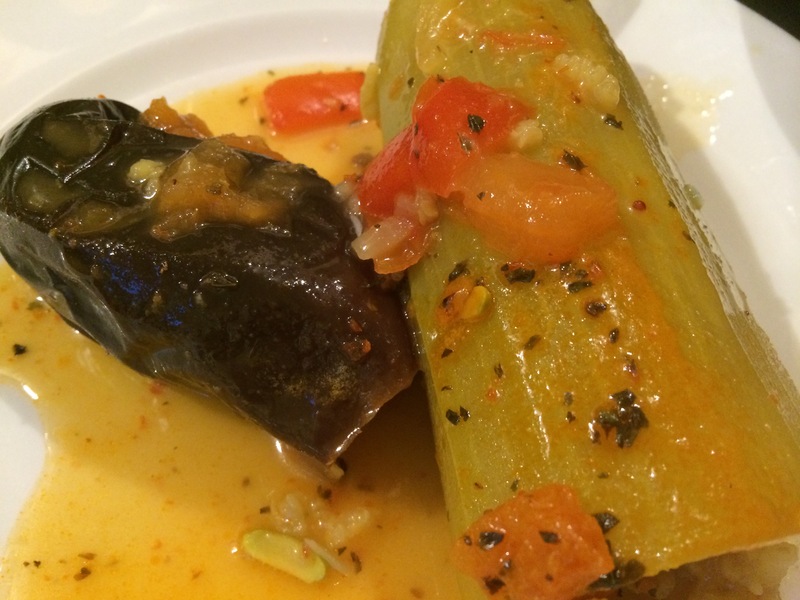 How wonderful to come upon your reminiscences of your home country, and the equally lovely way you present food. Please can you tell me what ‘ousfour’ is? Is it a spice mixture or herb?